Product code: ES6355 Categories: Sold Items, Sold Rings. 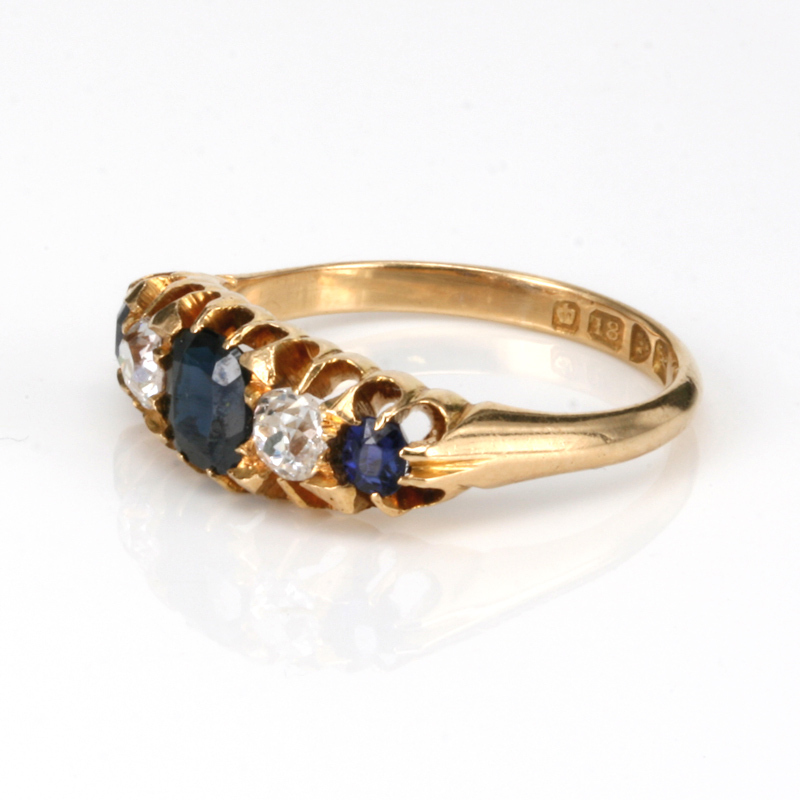 Perfect for any finger including an engagement ring, comes this very elegant antique sapphire and diamond ring made in 1910. 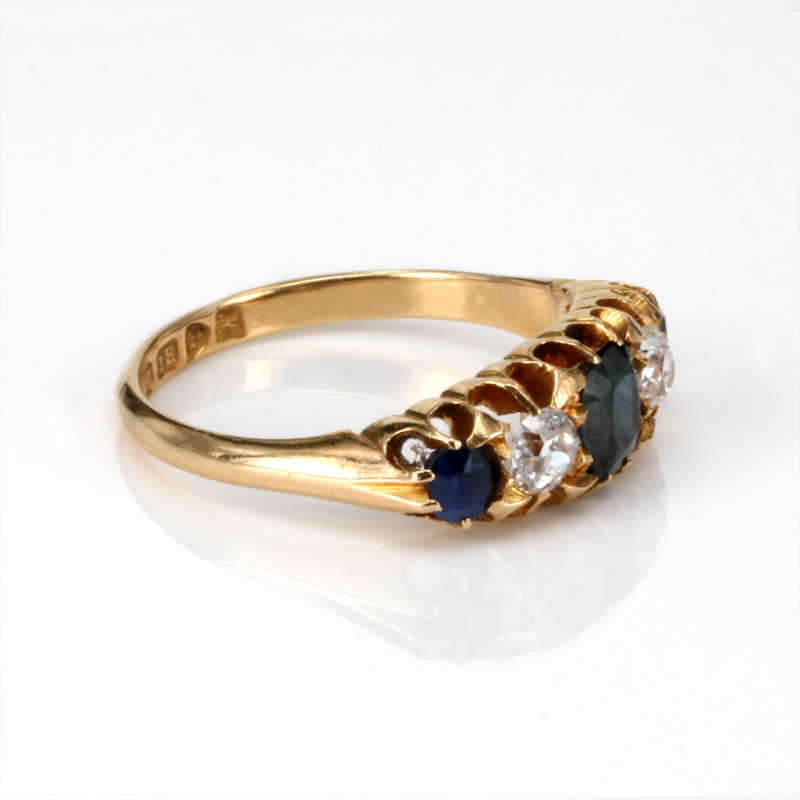 Hand made in 18ct yellow gold, this Edwardian era ring is fully hallmarked for being made in Chester in 1910 and is set with three lovely sapphires and two diamonds in a very comfortable and traditional design that sits so well on the finger. This style of ring has been around from the Victorian period right up to today, and has always been one of our most popular styles for an engagement ring. The three sapphires total 0.68 carats and the two old cut diamonds 0.32 carats, and measures 18mm across by 6.5mm wide. So simple and elegant, this antique sapphire and diamond ring has the perfect dimensions to put it on your finger and wear it all the time with love.